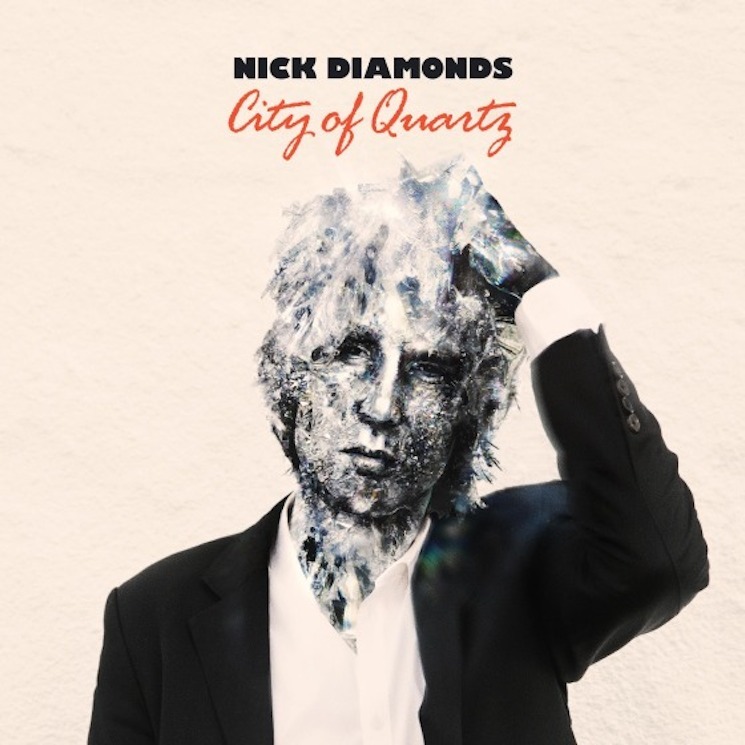 City of Quartz is the second solo record from Nick Diamonds, also known as Islands/Unicorns/Mister Heavenly/Human Highway frontman and Serial podcast composer Nick Thorburn, and it's another interesting twist in Thorburn's already varied catalogue. There are enough synth-based, electronic sounds on the record to differentiate it from his past work, but it still sounds like a logical continuation of the path he has been on since the early 2000s. The throughline is Thorburn's ability to write memorable, hooky, creepy and often funny songs. The record has a (mostly) cold and detached pop-prog sound, with dark lyrical overtones and electronic bleeps and bloops giving things a sense of melancholy; it's somewhere between Islands and David Bowie's Berlin Trilogy period, complete with two dystopian instrumentals that evoke Low and Heroes' second sides. At 13 tracks, you could argue that the record feels a little overstuffed, with multiple mid-tempo tracks in a row resulting in a bit of fatigue towards the back half, but when it hits, it hits hard, and early album highlights "Love Is Stranger" and "Witch Window" will appeal to fans of any of Thorburn's past projects.